Washington has intensified its drone war against Yemen-based terrorists since US President Donald Trump took power in January. 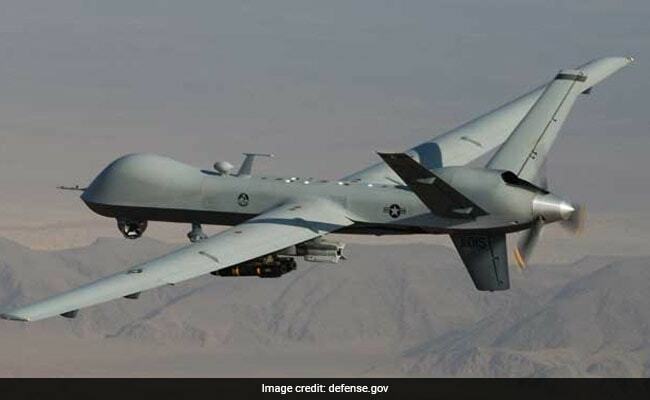 Aden, Yemen: A drone strike killed six suspected Al-Qaeda terrorists including a leader in the southern Yemen province of Abyan, local officials said Friday. They said the apparent US strike on their car was carried out late Thursday in the Sumaa area of the province. They said it left the terrorist's body "incinerated" and his two bodyguards dead. A similar drone strike on Sunday in Marib province, east of the Yemeni capital Sanaa, killed five suspected Al-Qaeda terrorists. Al-Qaeda in the Arabian Peninsula (AQAP) has flourished in the chaos of Yemen's civil war, which pits the Saudi-backed government of President Abedrabbo Mansour Hadi against Shiite Huthi rebels. The United States, the only government to operate drones over the impoverished country, considers AQAP to be the terrorist group's most dangerous branch.